This course introduces students to medieval literature and society through a focus on the rise and fall of one of the central ideologies of the Middle Ages: chivalry. 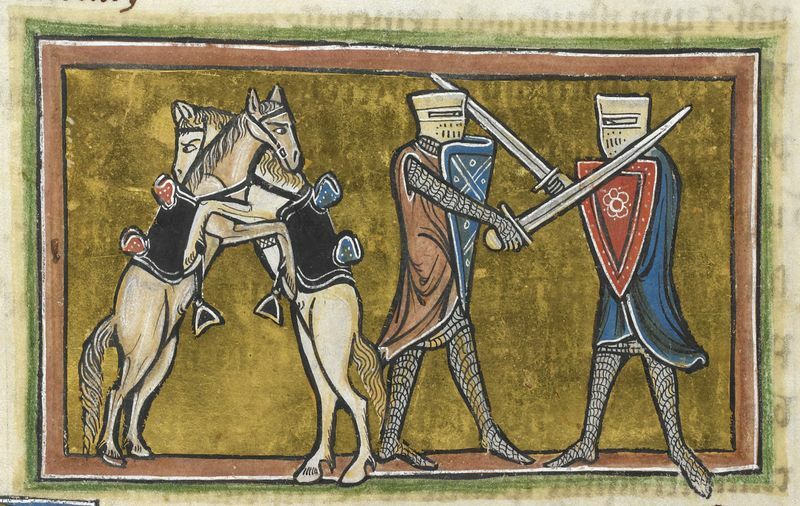 Focusing on texts from the twelfth to fourteenth century including Geoffrey Chaucer’s Canterbury Tales, romances of Chrétien de Troyes, the Lais of Marie de France, and Sir Gawain and the Green Knight, we will examine the role of chivalry and its associated cultures of war and conflict. Questions that we will discuss include: Why was the Christian knight such an important figure for medieval society? What ideas about masculinity, sexuality, class, and race are embedded within this figure? How does literature represent war and what cultural fantasies does it enable about nationalism, race, and belonging—and how do these ideas continue to resonate today? This course will provide students with a working knowledge of Middle English (no prior experience required) and introduce them to the major historical and political debates of medieval literature, as well as their continuing relevance today.